What Concerns Can Nose Surgery Address? 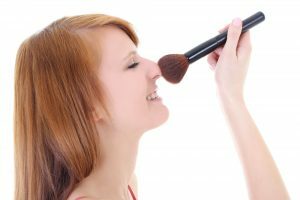 What Parts of the Nose Can Be Addressed with Rhinoplasty? The nose is the most prominent feature on the face, which is why many people are interested in enhancing its proportions. Subtle changes to the size, shape, and angle of the nose can provide a noticeable improvement to one’s overall appearance. If you’re dissatisfied with the look or function of your nose, rhinoplasty from our skilled facial plastic surgeon may be right for you. Dr. Eugenie Brunner utilizes many techniques that can address a wide range of concerns; in fact, many patients are surprised to learn just how many characteristics can be modified using the latest methods. Nose surgery can correct many cosmetic and functional issues affecting the nasal structures. Humps and bumps along the bridge can be smoothed. A nasal bridge that is too wide or too narrow can be adjusted to better suit facial proportions. The nasal tip can be elevated if droopy or angled down if too pert. Uncommonly wide or narrow nostrils can be moved further in or out, depending on the individual’s desired outcome. Additionally, asymmetry can be minimized, and breathing issues, often a result of a deviated septum, can be improved to enhance respiration. If you’re uncertain if your concern can be addressed with rhinoplasty, Dr. Brunner can evaluate your issues and help you determine what the best course of action might be. For more information, please reach out to our skilled medical team.